By God, Are They Isolated! 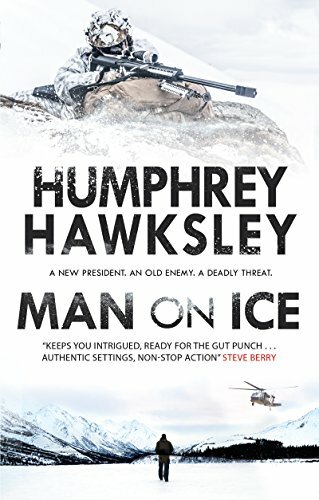 Man on Ice follows Rake Ozenna of the elite Eskimo Scouts as he struggles to protect his family on the brink of World War 3. What was the inspiration for the setup to this thrilling novel? When I visited Little Diomede island in the Bering Strait in Alaska I was amazed at how close it was to Russia. Every morning, we stepped out and saw the Russian island of Big Diomede barely two miles away and occasionally a Russian military helicopter circling to land at the small base out of sight on the other side. It was time when US-Russian relations were taking a big dip. Many thrillers are written about Russia in Europe, but rarely on this real, live border where American and Russian territory meet. It is an incredible place because there are no border lines, no customs sheds, no marker buoys in the sea water or on the ice in winter – just wind, skies, birds, and emptiness. I just had to set a thriller there. The Russian island is run by the military. The American island is an Eskimo village with no government protection. What would there be to stop the Russians from just taking it? Why would they want to? What would be the reaction in Washington? This book was able to take a rare look at the Eskimo people and culture. Why did you want to include them in this story and what aspects were important for you to portray? The Bering Strait setting of Little and Big Diomede islands is native land. Before the Cold War Eskimos travelled back and forth between the islands barely recognizing Russia and America as two separate nations. The border was open to them. When it was suddenly closed during Cold War hostilities, families were separated, and still are today. The American Eskimo villagers of Little Diomede are some of the most rugged and determined people I have met. By God, are they isolated! Their environment is totally unforgiving. But they love it and have lived the land, sea and ice for generations. To make credible the stakes of a Russian incursion onto Little Diomede, I had to show this village as it really was, portraying the challenges of environment and community as well as the ingenuity the villagers use with the terrain, weather and local knowledge to win. At the end of the day, even if you’re the president of Russia or the United States, you do not mess with the Eskimos of Little Diomede. Rake is an intriguing character that continued to develop as the story progressed. What did you model his character on and how did he change as you were writing the story? Rake Ozenna is a blend of real life people whom I have met throughout my career as a journalist. Rake’s motivation compares to any character determined to make the best of his life and give himself a wider world than his small, isolated island community. He enrolls in the Alaska National Guard, taking every opportunity he can, eventually breaking the ceiling, making officer and captain. He serves in Iraq and Afghanistan where he meets Carrie Walker, a trauma surgeon, Brooklyn, white, middle class, professional. They both have a wild, independent streak, but their backgrounds couldn’t be more different. Rake adores Carrie and can’t believe his luck. 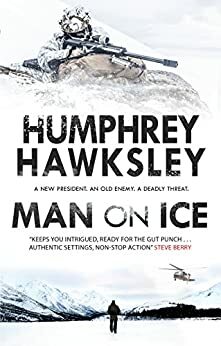 As the action gathers pace, and Rake finds himself more and more alone and hunted down on the island, then on the ice, we see his characteristics of ruthless leadership develop. He needs to win, but is never sure if his skills and natural ability to carry them out are compatible with loving Carrie and whether the two of them could ever make the kids, nice house and white picket fence thing ever work. Interviewing many heroes over the years, I have found there are always two strands of motivation. One is the bigger cause of the country and the mission. The other is the lover, the child, the home community. Sometimes they run in parallel. Often, they clash. I deliver the second Rake Ozenna political thriller at the end of May 2019 for publication later in the year. Many of the same characters, Rake, Carrie and Stephanie Lucas will be there and the location will be a wild, inhospitable place in the European Arctic.